Kunini are experts at providing a broad spectrum of lighting applications which range from standard switched lighting right through to more elaborate lighting control systems. Many people in the modern home will already have some form of lighting control, whether it be motioned controlled lighting, dimmer switches or even complex master lighting controls. If you think about it, most of us will use lighting controls simply when we use a timer to operate a pool pump or garden lights. At Kunini we are the solution to providing you with a large variety of lighting applications for your property. 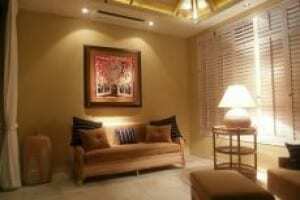 We have offices in Pattaya and Hua Hin and we can provide lighting systems to our clients in Pattaya, Bangkok & Hua Hin. Are you located in Thailand? Looking for a reliable company to provide you with lighting control systems ?Then please don’t hesitate to contact us for a chat, we can also provide our services for customers who are located all around Thailand. Today, houses will typically use LED lights as a primary light source. 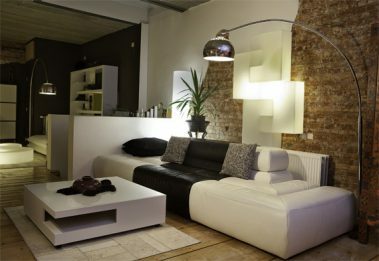 These LED’s can come in a vast range and the quality can hugely vary. Although it can still be somewhat more expensive compared to traditional lighting sources, the return on investment for LED lighting is quite short. LED’s can be switched or dimmed, however, dimming LED’s can still be problematic and finding the right, compatible dimmers can be a mammoth challenge. Although it may say “dimmable” on the box, it does not always mean that it will work with your dimmer! LED’s will come with an array of sockets; E27 for screw fitting, GU10 for mains voltage and MR16 for low voltage. These are the most common types but there are also others such as the E14 for smaller screw fittings, G4 which is a capsule for low voltage and GX53 which is similar to GU10 but flat, as you can appreciate, there is a maze of different options and choices that are available to you. Switching to an LED solution is not difficult to do however, it is imperative that you know what your exact requirements are before you make any purchase, one option is to first buy a sample so you can test the compatibility with any dimmers. Kunini has already assisted many clients to plan, purchase and install quite spectacular lighting solutions. Our professional lighting experts can assist with you lighting design right the way through to install and final switch on. We will ensure you get the desired results for your home or for your business and help you to create that special ambience that only the right lighting can bring to your home or place of business. Whether you are looking at LED lighting, Fibre optic lighting, solar powered lighting or just a basic solution, we have the expertise and the professionalism to get the job done well and within your required budget. So no matter where you are located in Thailand, be it Pattaya, Bangkok or Hua Hin contact our friendly team today at Kunini and we can help provide your property with lighting control systems! Talk to Kunini today for all your lighting system requirements! Whether you are in Pattaya, Hua Hin or Bangkok click here to get in touch with us!